Microwaving a protein bar for just 20 seconds turns it into an entirely different experience. Protein bars are a godsend for people who live their life on the move. They're convenient, grab-and-go-friendly and their high protein count will keep you full between meals. That said, they aren't always the most delicious. While some are pleasantly palatable, others can be hard to swallow — and, unfortunately, the worst-tasting ones tend to be the healthiest or most "clean." But the way you eat protein bars is all about to change thanks to Runner's World which came across a Reddit thread that illuminated the world of protein bar consumers. It suggests that a 20 second jaunt in the microwave takes a regular ol' protein bar from mediocre to brownie status. 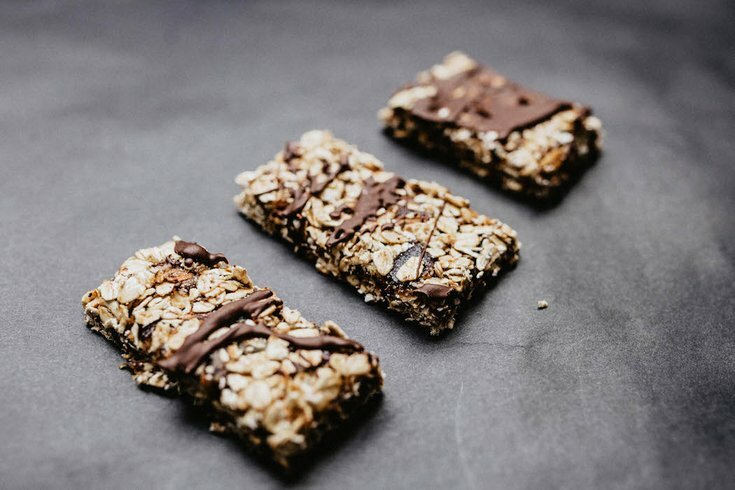 You can just imagine how a dipped protein bar's outer shell would melt into a warm glaze for the softened bar — and Runner's World confirmed just that with a Think Thin bar. "The hard white chocolate shell on the protein bar melted a little bit, basically turning into a sweet, delicious glaze. And when I cut into the bar with a fork, the inside was soft and crumbly like a cake—not firm and dense like protein bars normally are," Jessie Van Amburg reports. "As for taste, well, it was mostly the same. But because the texture was so much better, I enjoyed eating this bar that much more. It felt like I was eating a warm lemon bar. And I freaking loved it," Van Amburg continued. Now, if you're concerned about the bar losing some of it's nutritional value in the microwaving process, a Body Building forum suggests that it shouldn't make a difference. While this microwaving hack takes the grab-and-go convenience out of the protein bar experience, it certainly transforms it into a healthier and protein-rich dessert if served with milk or ice cream. If you're looking for a healthy protein bar to try this healthy hack out on, check out this list of seven healthy protein bars also listing the three to avoid.